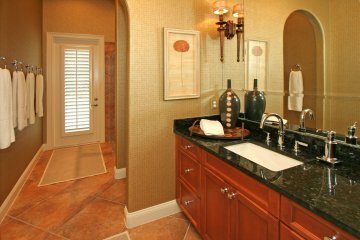 The moment you drive up to the paved courtyard of this Mediterranean residence you will love it with its “olde world” tile roof! 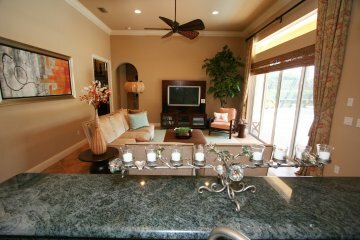 However, you will especially love it when you step inside and look through the sliding glass wall/doors out to a tropical landscape abundantly planted and framing a sparkling pool and refreshing spa – completely enclosed in large screen enclosure and bordered by a spacious terrace. Don’t worry about cooler weather – you can swim all year round! The Pool and the Spa are heated – you and your Winter guests will love it! 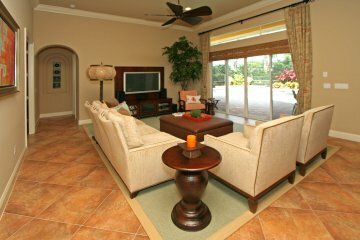 The stunning, open floor plan embraces a view of this tropical landscape from the main living areas! Just to look at this makes you feel relaxed! 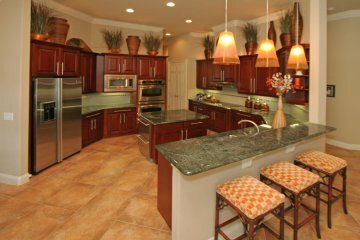 The interior boasts many upgrades among its 3211 square feet (heated and cooled), including furniture grade cabinets topped with rich granite, top-grade kitchen appliances and more! 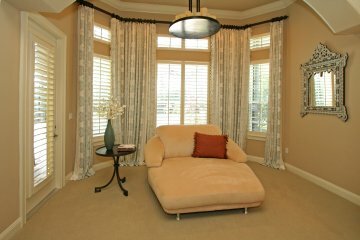 The style is casual elegance – comfortable and very livable! 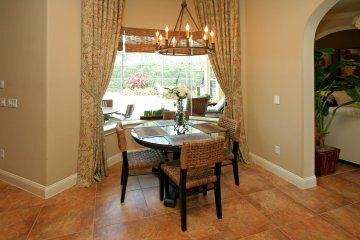 The kitchen opens to the family room and is defined by a snack/serving bar which establishes a boundary – no walls! Graceful arches supported by stately columns define the living room opening to a formal dining room – no walls to spoil the view! 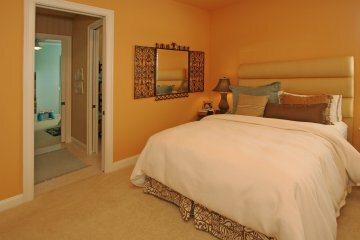 Each of the three spacious bedrooms has bath access! 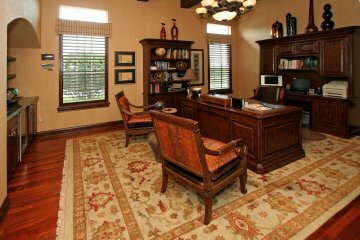 The fourth bedroom has been converted to a beautiful study – complete with wood floors, architectural ceiling detail, wet bar and wine cooler! 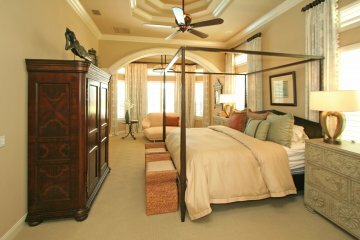 The master bedroom boasts his and hers walk-in closets and a generous dressing area with adjoining bath. 3 car Garage! Heated Pool & Spa! 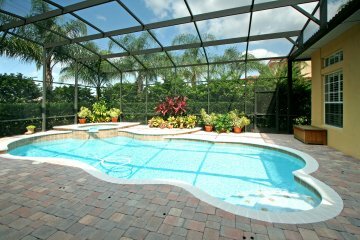 If you are ready for a Florida lifestyle and ready to move in with minimal effort, then this could be your home!